The first step in implementing a sound precision ag management plan is to make sure that there is significant enough variability driving differences in productivity in fields and/or zones, meaning it's affecting your bottom line. 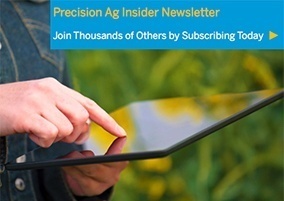 If there is, it's probably time to introduce more precision management practices, advises Markus Braaten, former Director of the Agri-Trend Knowledge Group, a Trimble company focused on agronomic best practices. 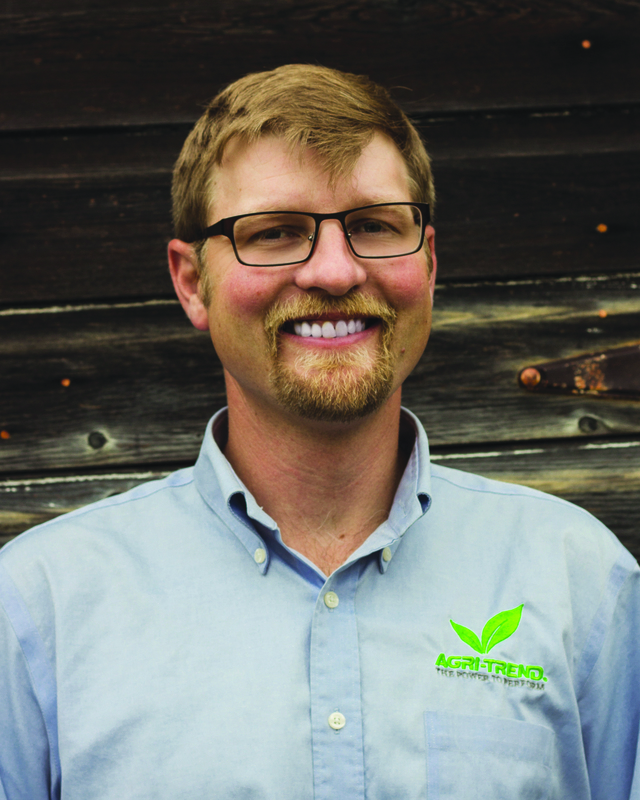 When it comes to incorporating more precision management into farm operations, Braaten advises growers to start with profit maps. At a single glance, farmers are able to see the areas of their fields that are not growing profitable bushels. This is where the cost of inputs and amendments is not paying off! Figure 1 Profit Map A is a field pencilled in for soft white winter wheat. In this field, significant variability is affecting profitability, almost 25% of this field is losing money. From this profit map, the farmer now knows where to investigate to determine the causal issues and whether they are fixable — physically, logistically, or financially. The farmer can then decide on a plan to improve those poorly producing zones to keep them profitable. For the higher producing zones, the farmer can decide whether the target yield and management practices are adequate — or, if they should be increased. For the average producing zones, the farmer can decide whether to keep management the same, or increase efforts. Figure 1 Profit Map B is a field also pencilled in for soft white winter wheat. In this field, there is definitely still work to do to understand the reason(s) for the low production, but it might not be a field to start with if your farm has fields that look more like Map A. The more the variability results in greater differences in cost-per-unit-production between the low and high producing zones, the greater the opportunity there is to influence profitability through implementation of a precision plan. Starting a precision crop management program with profit maps puts farmers in a much better place to measure ROI than does starting with a soil test, which is where many people have historically started. With a precision plan designed from a soil test, farmers are unable to answer the question of whether or not it worked! Starting with profit maps lets profitability and the nature of the margin opportunity drive management decisions. Will these acres still be profitable after an in-season nitrogen application? What is the effect on profitability of a flat- rate fungicide application? What are the risks? These are the questions farmers can answer. Starting with profit maps lets profitability drive the determination of management zones. Recognize that these zones will change year to year given the fluctuations of input costs and anticipated commodity value. For farmers who want to see an economic return from implementing precision management on their fields — 'precision' being defined as the right rate and source in the right placement at the right time — it will require measuring results, adjusting the plan and measuring again. Start with a profit map and start in fields that have a lot of variability, including areas that are eating away at your farm's profitability. Get better and better at tracking your costs, i.e. actual yields and sale price. 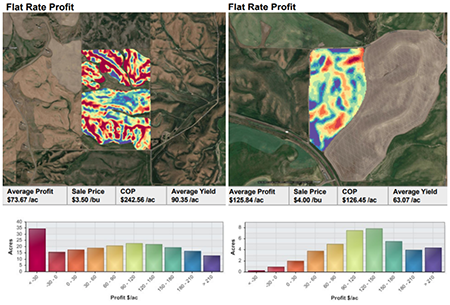 Utilize the harvest data you have stored somewhere to refine profit maps. Review profit maps often throughout the growing season. Use the software and technology available to you through your Trimble Ag Software Farmer Pro account to simplify that effort. And as always, let the margin dictate management.